Roadways populated with fully autonomous vehicles may become a reality sooner than anticipated. Ford CEO Mark Fields revealed on Tuesday that his company aims to have high-volume, fully autonomous (SAE Level 4) vehicles in operation by 2021. The first wave of fully autonomous vehicles, which won’t have steering wheels or pedals, will be developed for the ride-sharing and ride-hailing industry. To meet that deadline, the automaker will be doubling down on its engineering talent plucked from Silicon Valley. Specifically, Ford is creating a dedicated campus in Palo Alto that’ll add two new buildings and 150,000 square feet of work and lab space near its existing Research and Innovation Center. The new space will enable the company to double the size of its local team by the end of 2017. Fields said the next decade will be defined by automation of the automobile, noting that his company sees autonomous vehicles as having as significant an impact on society as Ford’s moving assembly line did 100 years ago. The executive added that they’re dedicated to putting autonomous vehicles on the road that can improve safety and solve social and environmental challenges for millions, not just those that can afford luxury vehicles. 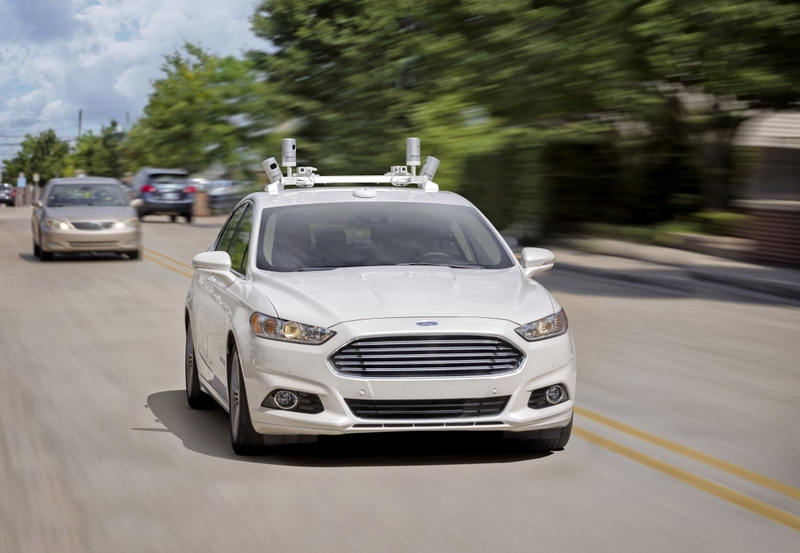 Ford is also expanding its investments in firms developing self-driving technology. One such company Ford is backing is Velodyne, a leader in light detection and ranging (LiDAR) sensors in hopes of being able to quickly mass-produce a more affordable LiDAR system for automobiles. Other companies the automaker is high on include Civil Maps and Nirenberg Neuroscience LLC. Ford also revealed it has purchased SAIPS, an Israel-based computer vision and machine learning company.